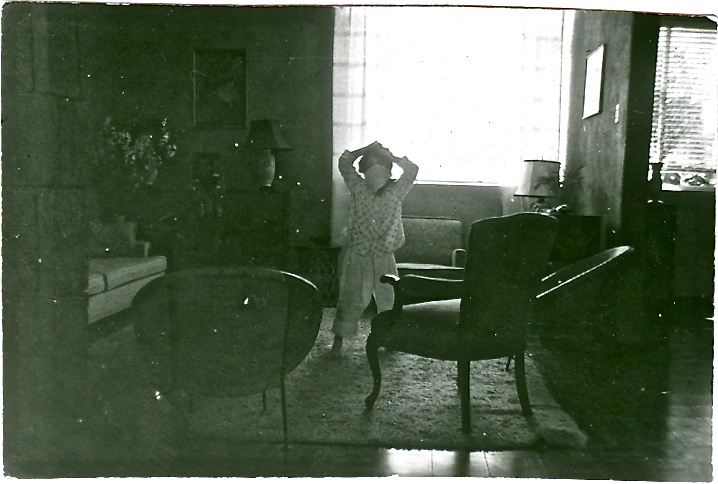 My mother strictly enforced an early bedtime for energetic 7-year-old Susie. 7 pm was my bedtime and at the latitudes where we lived, I was frequently tucked in just as the sun was setting outside my window. Daylight be darned, the clock (and my mother’s waning patience) was what determined when my head was to hit the pillow, and I vividly remember loudly and frequently protesting the unjustness of the rule. With such an early bedtime, I was unsurprisingly up and at ‘em with the crowing roosters; and with the rest of the family still soundly snoozing, I was left to my own curious and imaginative devices until breakfast. I routinely bounced my way downstairs in my pajamas and fluffy slippers to pester the maids who were already up, sitting at the kitchen table sleepily dunking tortillas into sweet café con leche. One morning, one of the maids entertained me with a magic trick using a frijol. Inserting the dried black bean into her right ear and giving it a few seconds to make its way through her brain, she magically produced it from her left ear. Wow! I was amazed! I insisted that she show me the magic over and over and over again! In one ear and out the other, that little black bean traveled straight through her head! Now it was my turn to impress. I grabbed a bean and stuck it into my ear, giving it a healthy shove with my finger to give it a good start on its journey through the gray matter. My first hint of trouble was the immediate deafness in that ear and the next was the sheer panic on the maid’s face. There was no escape, nothing to be done but climb the stairs and creep into my sleeping parents’ still dark bedroom to quietly announce, “I have a bean in my ear.” Up they jumped, incredulous at the circumstance, yet immediately beginning a round of unproductive rescue measures, involving Mom’s eyebrow tweezers and Mom and Dad trying to vacuum the bean out of my head by sucking at my ears. At the Guatemala City hospital, the young doctor on duty was compelled to improvise a solution, having skipped the chapter, “Como Quitar Frijoles de las Orejas,” and in an effort to float the bean out, began the process by flooding the inside of my head with water. Step two was an attempt to grab the now soggy and considerably expanded bean with long tweezers, which produced the loosened skin of the bean but not the bean itself. The doctor left the emergency room to mull things over and returned eternal moments later with a crochet hook. He must have silently conspired with my nervous parents, because one of them grabbed my arms and the other lay across my legs. Pinning my head down with one hand and brandishing the crochet hook with the other, the doctor probed the inside of my ear, hooking the elusive bean and eliciting from my skinny little chest a long, ear-piercing scream that activated rumbles from the live volcanoes dotting the Guatemalan countryside and rattled the sleeping Maya in their ancient graves. If dinner included black bean soup that evening, I’m pretty sure I didn’t eat it. Every time I read one of your hillarious “retrievals” I’m reminded of how much I miss you! How is it possible that this juncture I can only look back on a handful of times we were together and you had me rolling on the floor in stitches? Too few and too far between, cuz. and I love the picture so much! Such a great story! Did the maid remain in your household? I love your tales and think you should consider putting them in a book. Funny thing is, I picture you laughing hysterically as you recollect and retell these stories that have made you the comical act that you are. I always look forward to the next memory…and the next, and the next. That was hysterical! I’m so happy you have a great memory and are able to tell your stories in such great detail and with such wonderful humor! I always look forward to them.